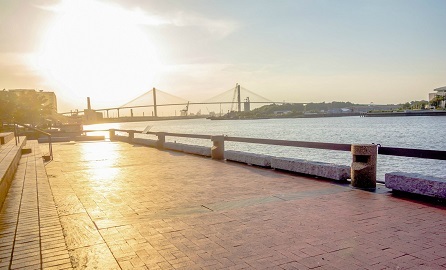 The Savannah Book Festival Inc. is an annual event that is committed to celebrating the written word and to offering all main day events free and open to the public. Each year features an impressive slate of best-selling authors who speak, sign books, and share their craft with Savannah. Pulitzer Prize-winning author Anna Quindlen was the headliner for a special spring presentation for the 2013 Savannah Book Festival this May. Quindlen, who won the 1992 Pulitzer Prize for Commentary, was the featured guest at a ‘Lunch and Conversation’ event with book signing on Thursday, May 16, 2013 on Skidaway Island. Those who attended the luncheon received a paperback copy of Quindlen’s recent memoir, Lots of Candles Plenty of Cake. In this recent book, Quindlen reflects on her life, past, present and future, her faith, her relationships with parents and family, and her experiences with caring for and then losing her mother to ovarian cancer. At the age of 19 she became mom to her siblings. She talks about how her personality and feelings on feminism have shaped her over the years. She says, “”After all those years as a woman hearing ‘not thin enough, not pretty enough, not smart enough, not this enough, not that enough,’ almost overnight I woke up one morning and thought, ‘I’m enough,’ ” she says. Quindlen was born in Philadelphia, Pennsylvania to an Irish father and an Italian mother. She graduated in 1970 from South Brunswick High School in South Brunswick, New Jersey, and she graduated from Barnard College of Columbia University in 1974. 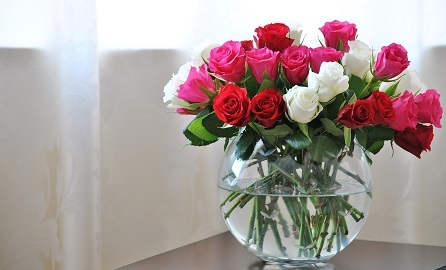 She has had a very successful career as an author, opinion columnist, and journalist. Quindlen began her journalism career in 1974 as a reporter for the New York Post. Between 1977 and 1994 she held several posts at The New York Times. Quindlen left journalism in 1995 to become a full-time novelist. In 1999, she joined Newsweek, writing a bi-weekly column until announcing her semi-retirement in 2009. Quindlen is known as a critic of what she perceives to be the fast-paced and increasingly materialistic nature of modern American life. Much of her personal writing centers on her mother. Of five of her best-selling novels, three have been made into movies. They are: One True Thing, which was made into a feature film in 1998. Meryl Streep received an Academy Award nomination for Best Actress in this movie. Black and Blue and Blessings were made into television movies in 1999 and 2003 respectively. Quindlen is married to Gerald Krovatin, an attorney, and they have three children. She lives with her family in New York City. 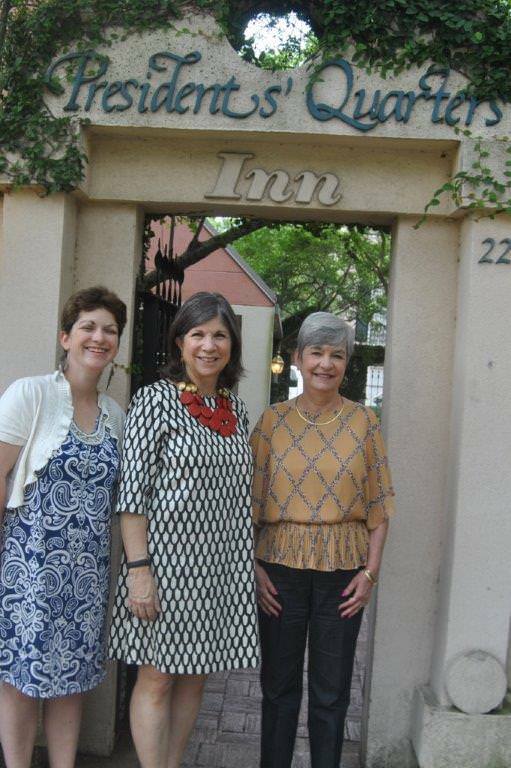 The exciting thing is that President’s Quarters Inn had the privilege of hosting Anna Quindlen during the festival! 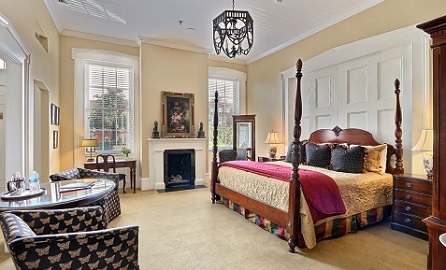 This is one special bed and breakfast in Savannah! When you plan your next stay, be sure to contact President’s Quarters Inn to book your room! You never know who else might be staying there with you!! 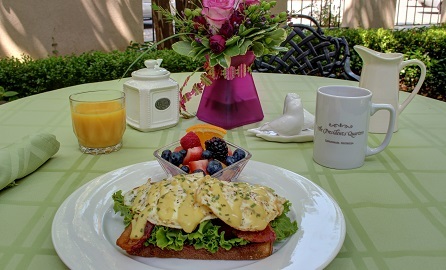 Photo courtesy of President’s Quarters Inn. 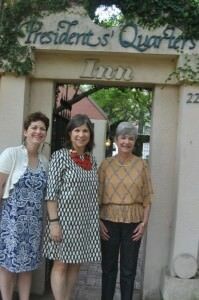 In photo are Anna Quindlen (center), Anna Kelly and Jane Sales (both of President’s Quarters Inn).